Property giant Dexus has bulked up its healthcare portfolio after agreeing to buy a 28.5 per cent stake in specialist funds manager Heathley for $11.3 million, reports The Australian. 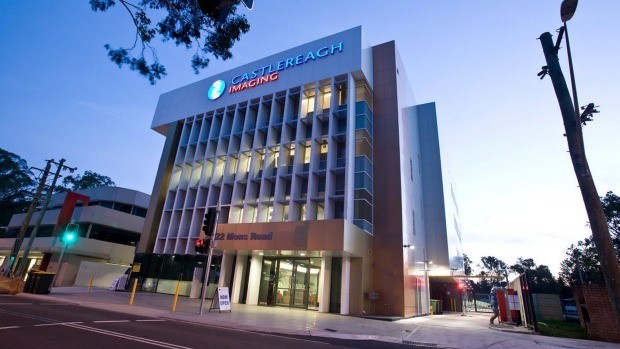 The deal will see Healthley manage a new healthcare real estate investment trust that will list on the ASX and in which Dexus will take a $37.3 million cornerstone investment. Heathley is a major player in the healthcare real estate sector, and it has built extensive networks in the health, development, government, not-for-profit, and private equity worlds over the last five years. It is one of a handful of fund managers specialising in the area. The Heathley management team has completed 47 healthcare property transactions since 2013 with a combined acquisition value of $601 million. The company also has a pipeline of opportunities that could help grow its proposed listed trust to $1 billion. The group has drawn interest in its operation from local and international players seeking to access the country’s burgeoning healthcare real estate market via an off-market process handled by KPMG. The deal signals Dexus’ confidence in the emergence of healthcare property as an institutional asset class. “Our investment in Heathley complements our existing healthcare fund strategy and is a logical extension to our funds management platform, providing access to strong customer relationships in the sector,” Dexus chief executive Darren Steinberg said. Dexus will buy an initial 28.5 per cent interest in Heathley for $11.3 million with an option to buy another 21.5 per cent stake in the future, and will have a board representative on the responsible entity of the healthcare REIT. Dexus will also take a 10 per cent cornerstone investment in the healthcare REIT at a proposed issue price of $2 per stapled security, for $37.3 million. The investment will be funded through existing debt facilities and Dexus said the deal would have an immaterial impact on its gearing, distribution and adjusted funds from operations per security. The $37.3 million deal is a modest investment for Dexus, but according to industry sources, it will give it a strategic interest in the listed Heathley vehicle. Heathley’s head of property, George Websdale,​ told the AFR the deal aligned with the company’s strategy. “Over the past four years, we’ve had an evolving focus on medical and health-related assets and we’re continuing to work into that space while exploiting an attractive sales environment by down-weighting in the office and industrial sectors,” Mr Websdale said. Heathley’s head of funds management, Toby Kreis said the sale of the Heathley Diversified Property Fund would allow the company to return its capital to investors. Dexus last year launched its Healthcare Wholesale Property Fund, which it jointly manages with C&G. The vehicle, seeded with about $370 million of properties on completion, including the new 12-storey 343-bed Calvary Adelaide Hospital, has already won the backing of the Clean Energy Finance Corporation and Australian Ethical Investment. Dexus has flagged other medical developments, including the $445 million North Shore Health Hub in St Leonards in Sydney and a medical research facility in Adelaide, as suited to the fund. The group’s prospective investment will also likely boost the prospects of the planned Heathley Healthcare REIT. Dexus would have the capital to take a substantial interest in the fund and its backing would signal the trust had the capacity to acquire major assets. This is particularly so since more hospital portfolios are likely to shift into private hands in future as cashed-strapped public and not-for-profit players focus on service delivery.